Microsoft has been headed this way over the past few years. First it made the Surface tablet, calling it the tablet that replaces laptops. 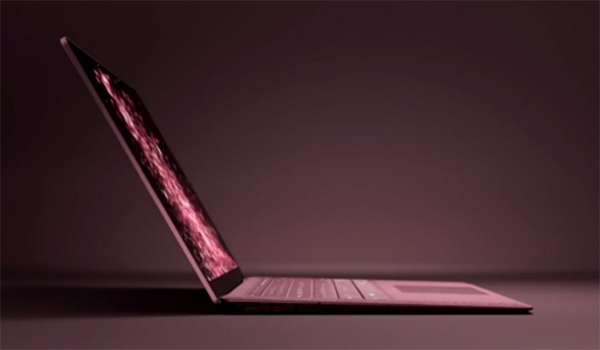 This was followed by the Surface Book and then the Surface Studio, and today the company has finally unveiled its own laptop. As rumours said earlier, it’s called the Surface Laptop and it has a 13.5 inch Pixelsense display, with 3:2 aspect ratio. The Surface Laptop will run on the company's new Windows 10S operating system, but with the option to upgrade to Windows 10 Pro. The laptop seems to be a “hinged” version of the Surface tablet itself. Microsoft says its keyboard has 1.5mm key travel and the company seems to have used the same Typecover keyboard as that device, but not one that detaches. The device runs on on Intel’s Core i5 and i7 Kaby Lake processor and offers up to 1TB PCI-e SSD storage. On the ports front, the Surface Laptop sports a mini-DisplayPort, a USB-A port and Microsoft's proprietary power connector that you may have seen on other Surface devices. Most importantly, Microsoft claims the laptop will run for over 14.5 hours and took the opportunity to mention that it offers more battery life than “any Macbook” out there. The touchscreen display is compatible with the Surface Pen and Surface Dial as well, and the Dial can work contextually with different apps. Lastly, the Surface Laptop weighs about 1.2kg and is 9.9mm thick, putting it amongst the thin and light ultrabooks out there, but not really a head turner. The device starts at $999 and there’s no word on whether or when it will come to India.